Our teethers are perfectly sized to mimic those itty bitty baby fingers. They’re just long enough to stimulate the back molars, but short enough to prevent choking. Here’s a salute to hours of silent biting bliss! 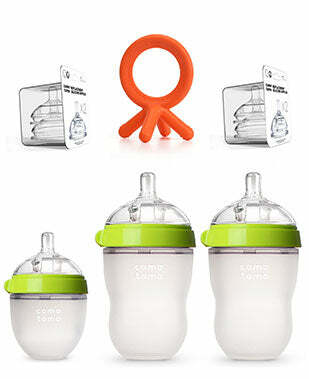 Available in pink and green, our starter package is a must have for any home welcoming a new baby.